Forgetting tasks that we intend to do is so common that numerous solutions to the problem have come to the market. These range from rough to-do lists on scraps of paper to sophisticated project management tools. However these solutions cater mainly to people comfortable with complexity, are better time managers and who are also efficient makers and users of to-do lists, calendars and similar aids. 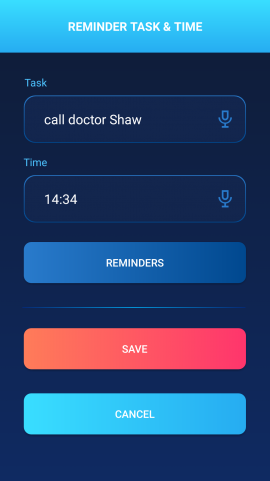 NR is different in that it is designed for people who tend to forget daily tasks a bit too often - owing to easy distraction or because they are not good task and time managers. NR makes it not only easy to set tasks (and the time to do it) but also automates timely reminders. 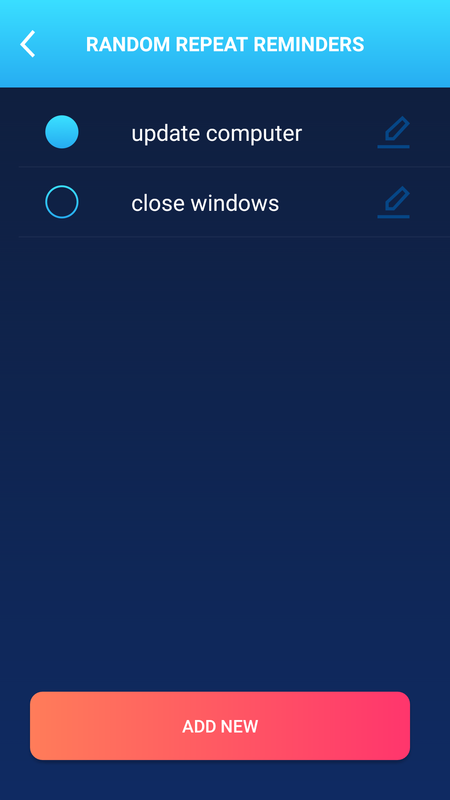 For example, you just click a button and speak the task to do, and the time to do it - and set optional pre-reminders if you wish. 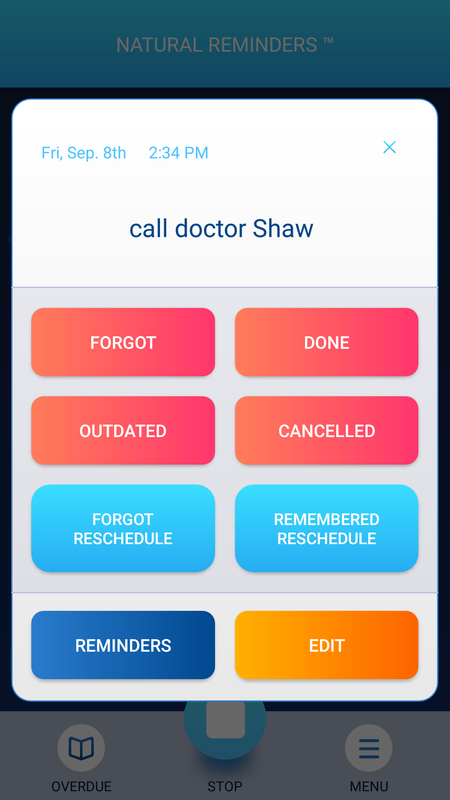 NR will schedule tasks automatically in time order, and remind you by voice as needed. 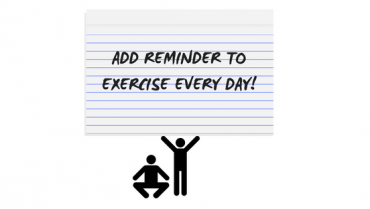 Forgetting Simple Daily Tasks can Have BIG Impact! * Forgot to pass that vital message to your colleague or boss! There are many reasons that lead to such forgetfulness. Using NR is easy: Click a button, enter the task and the time to do it. And how you want to be reminded about the task. 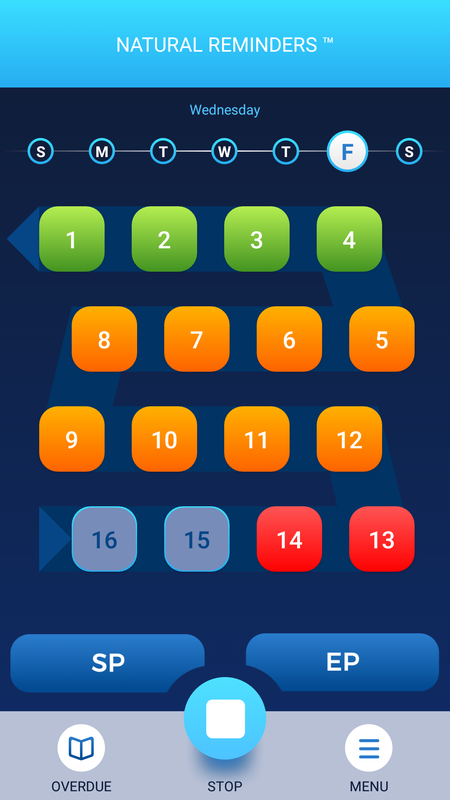 Select one of the sixteen buttons to start entering the task and the time to do it. Don't worry about the bottom buttons such as SP and EP for now. These are advanced features for research purposes. Alternatively, you can speak to the app. Speak slowly the name of the task to be done, and the time to do it. NR would automatically schedule the tasks in time order. You can customize a few things like whether you want to be reminded just in time about the task, or in advance. 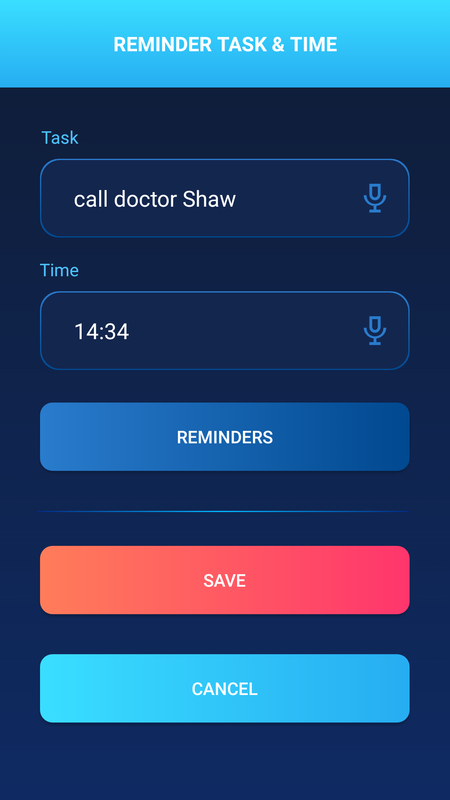 You can also customize the playback, to prevent it from announcing the task using voice if you want privacy. The branch of psychology that studies the way we set and remember tasks is known as Prospective Memory or PM. 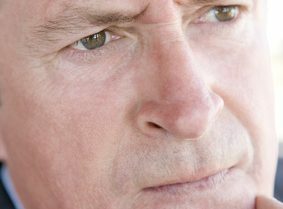 NR's design is based on the principles of PM. By using NR regularly, you would be exercising your PM "muscles!" 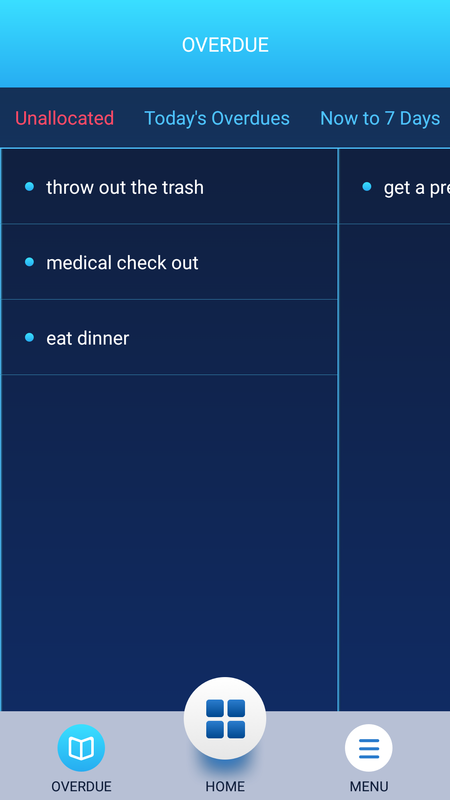 NR resides on a smartphone and you can set tasks as these pop up into your mind. NR comes with an option to register for a My-Memory subscription web service. 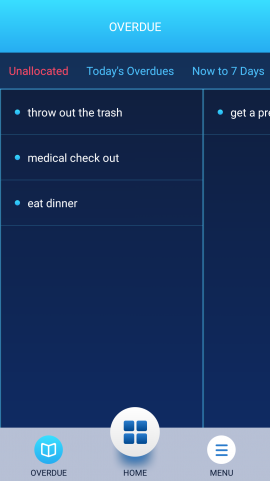 If you register, and use it regularly, you can measure your progress in remembering tasks. Exercising your PM muscles and checking your progress regularly should help you improve your PM and remember tasks the natural way! If you have a good internet connection you can set the task and the time to do it by speaking to the app! You can set the reminder to remind you just in time for the task, or use NR’s powerful pop-up pre-minders to remind you sufficiently in advance if that is more appropriate. The tasks you have set will be automatically ordered in the order of the times you have set for these. On expiry of the time set for a task, the task moves automatically to an Overdue list, making space for entering a new task on the main screen. You can customize the reminders for tasks that are overdue and until you mark them as completed (or cancelled). Prevents against ‘weak-spot’ forgetting: those things we do not have fixed time to do but can anytime (this afternoon, after work, before going to bed, and so on. 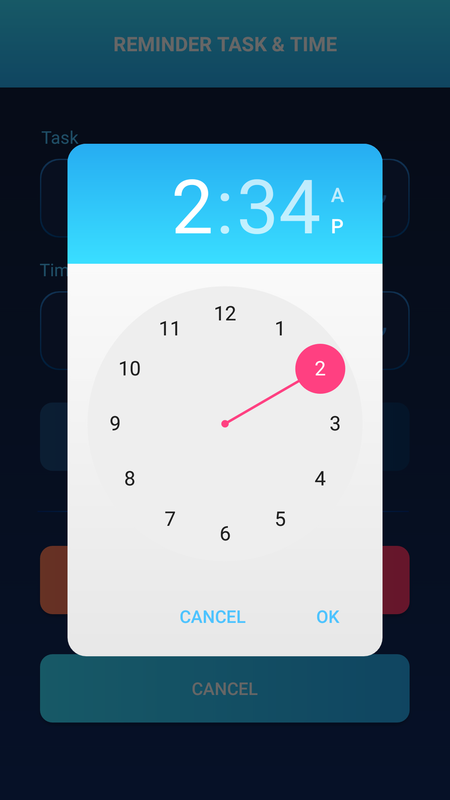 Select any vacant button and enter the task, and set the time do it (using the built-in clock). Alternatively, you can set these by speaking to the app as mentioned earlier. Click any button for which a task has been set, review the details and make any changes if needed. This is a research button! When something you see makes you remember a task touch this button in addition to setting the task using one of the main buttons. Another research button If you remember the task spontaneously without any external trigger, tap this button after setting it. Register for the My-Memory service, use NR regularly, use those EP and SP buttons and soon you will begin to get a lot of insights into your own memory performance! 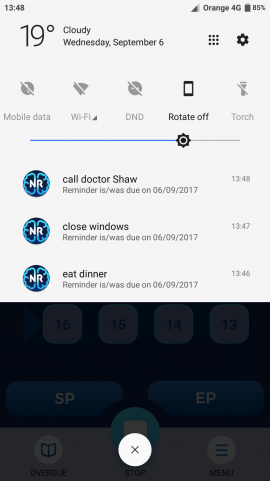 How a Reminder Saved (far more than) a Day! 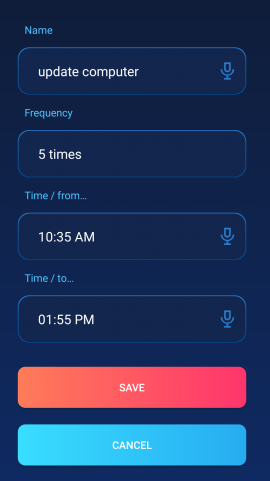 Here is a story about a reminder app: "NR or Natural Reminders is an app that accepts spoken inputs and provides spoken outputs. Copyright © by Sentience Software Ltd 2017. All right reserved.